You love movies? Great! So do we, and there’s an explosion of awesomeness happening in the world of film. The twist? It’s not all on the screen. 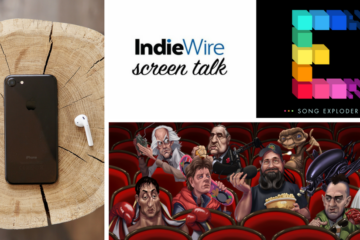 More and more film critics, filmmakers, and film enthusiasts are making their mark on the word of podcasting, and we don’t want you to miss anything you can learn, laugh at, and love through your headphones. We’ll tell you why these shows are awesome and where to start. Plus, we’re taking recommendations! If you love a podcast you think we should feature, read to the bottom to see how you can suggest entries for next month. Happy listening! Did you ever want to ever listen in on a conversation between Martin Scorsese and Steven Spielberg? Hear Superman director Richard Donner pass the baton to Wonder Woman’s Patty Jenkins? What each batch of directing Oscars nominees want to say to each other? You can with The Director’s Cut. 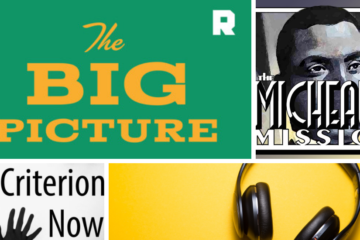 Each episode is a conversation between at least two directors about the latest big-budget blockbuster, awards season favorite, or fresh indie. Because it’s one director interviewing another, we don’t have to sit through hackneyed questions like, “What was your favorite part?” The conversations cover everything from camera angles and filming techniques to the story’s inspiration and the director’s history. With most episodes under an hour, these go deep without any fluff. 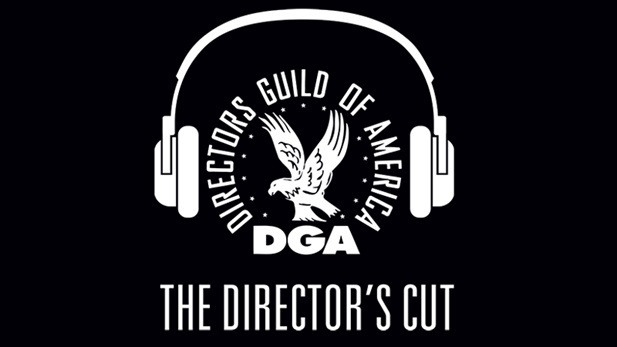 Find the full history of episodes and more on the DGA’s website. 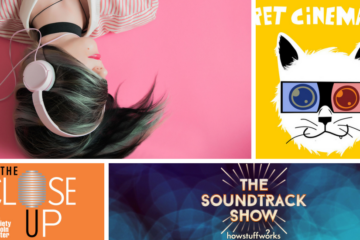 You don’t think we’d make podcast recommendations without touting our own series of interviews, criticism, and news coverage do you? 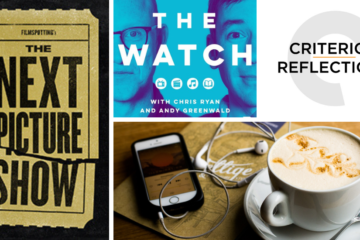 Almost every week, our critics are joining forces—sometimes with authors, speakers, and outside critics—to dig into new releases that deserve longer conversations, analyze trends in TV and film, and predict our awards show winners. Since you’re already loving our written reviews and features (you’re here reading this, aren’t you? 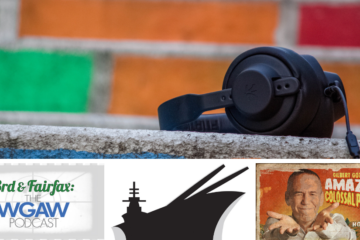 ), we recommend listening into the conversations we can’t fit into those articles. 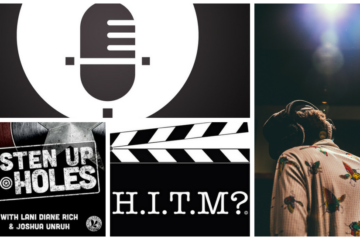 See our full lineup of episodes. 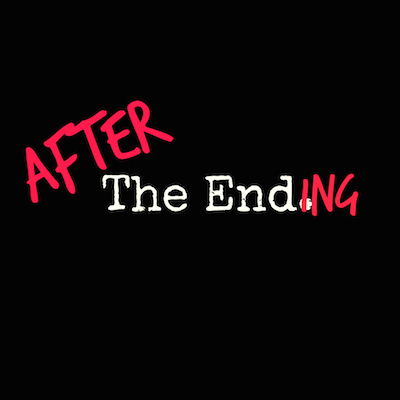 At the beginning of each episode, Mike Spring and Phil Edwards remind us they’re making the only film podcast that takes you after the ending of your favorite films. As far as I’m concerned, no one else needs to try. As their title and tagline suggest, this pop culture-savvy duo predicts what happens after the credits roll of the stories and characters we love, starting the day after we leave them all the way to the long-term. Their imaginations take crazy and funny turns in this exercise, often with impressions they’ll be first to admit are terrible (fortunately for us, they’re to hilarious effect). And don’t just come for their fortune telling—stay for the interviews, the film history, and the Mighty-Morphing Mini-Feature! After they finish their main task, they interview actors and filmmakers on press junkets, work their way through 100 Years of Hollywood in 100 Episodes (citing their 10 favorite films of each year), and cover additional topics they’re passionate enough to provide humorous and/or thoughtful criticism on. These two are making the closest thing to a film magazine I’d like to read, with even their mini episodes way more fun a year’s worth of Hollywood Reporter issues. Find out more about the podcast on Mike Spring’s website. 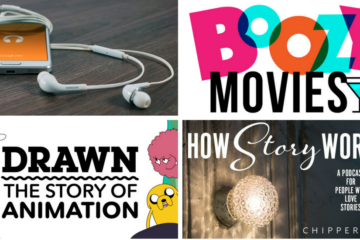 What film podcasts are you listening to? We’re taking recommendations for next month! Share with us on Twitter or in our Facebook group. 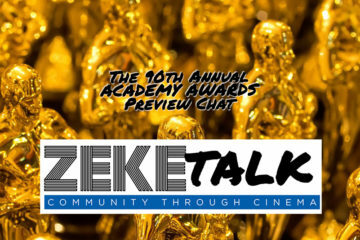 Taylor Blake is a contributor on ZekeFilm, including contributing to the conversations on ZekeTalk. She co-hosts her own podcast, SO IT’S A SHOW?, which analyzes Gilmore Girls pop culture references.